Often, you may want to merge the videos you just shot or captured to make a movie or extended video clip. 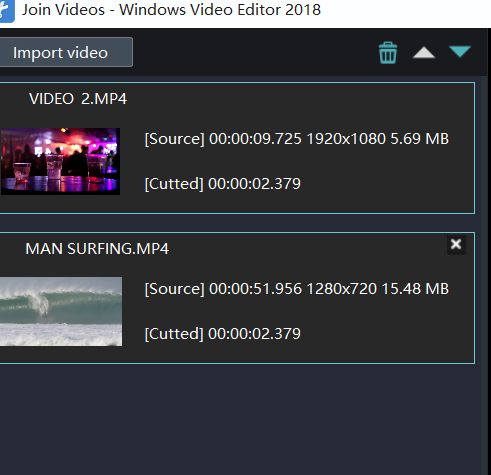 Putting videos together and creating funny short films or video collages is a great way to spend time, but to make it really enjoyable, you need a simple and effective video combiner.Windows Video Editor Tool offers an easy way to join videos together and also lets you edit movies in many different ways. Step 1: Select join function. First of all, an interface which involve a wide range of tools such as cropping, watermarking, joining, rotating, splitting and so on will automatically come into view when you open Windows video editor tool. Please click " Joion" to unlock the corresponding window. Step 2: Import the video files.. Step 3: Edit the video. At the right work zone, you can use arrow to adjust the video clip . It's setting start time and end time. The second video can be different time setting , it wil save the status automatic. 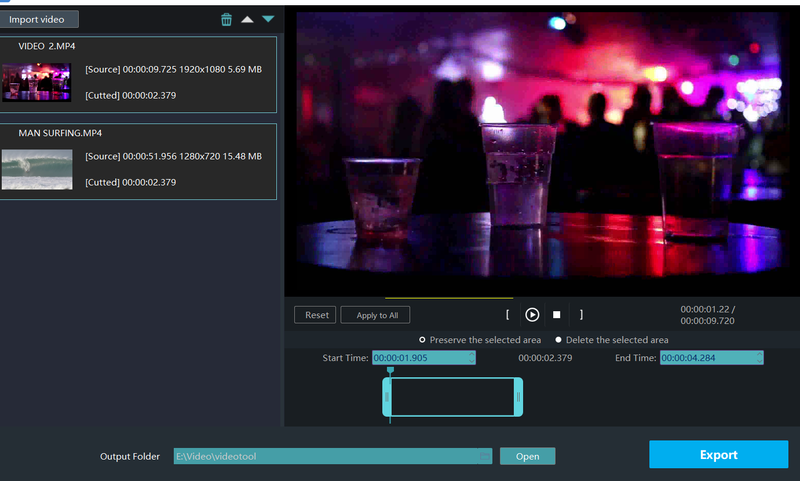 Step 4: Export the join video. Click "Export" , you just click the boxes beside "keep original format" and "Export". You can pick out the terrace you want to upload to among YouTube, Facebook and Vimeo. You can also choose other formats and device to save it on the computer. Rename your video and ensure that the saving location is right. The settings for resolution are also available for you. Finally, don't forget to click "Export" to save converted file.